. 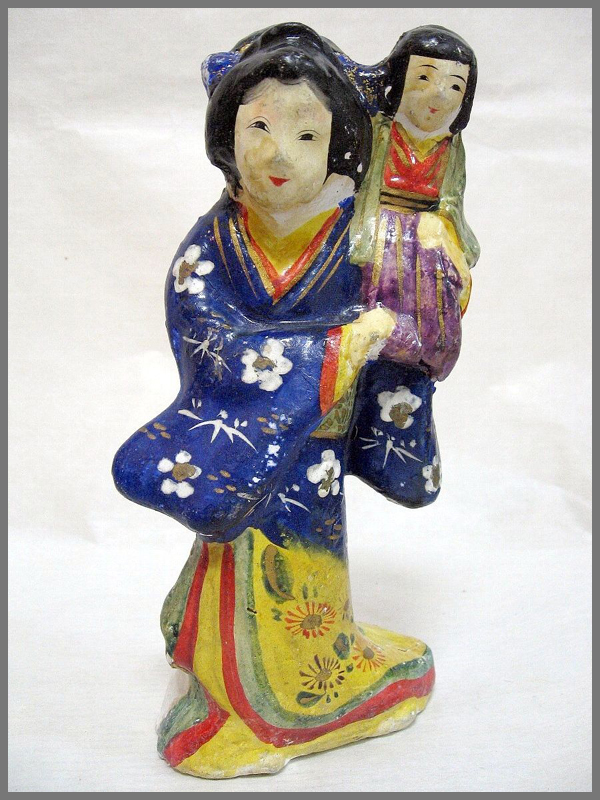 Clay dolls - Introduction . 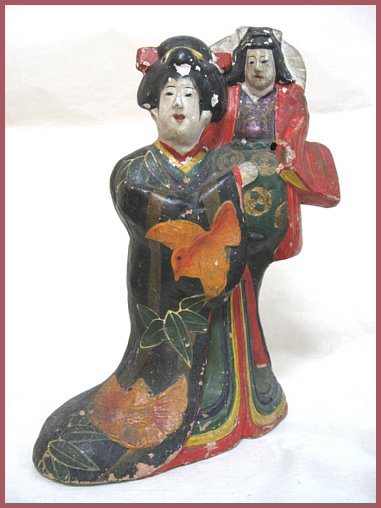 Meiboku Sendaihagi 伽羅先代萩 "The Disputed Succession"
This is based on the troubles in the Date family of the Sendai clan in the Edo period. 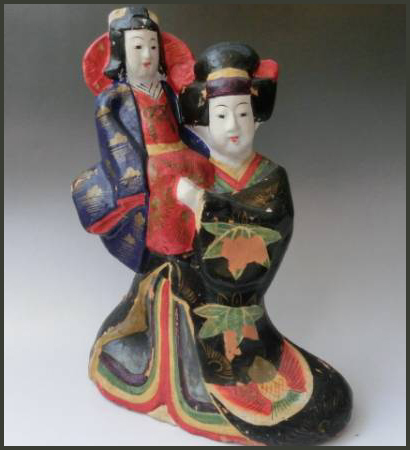 It tells the story of Nikki Danjo, the regent for the Ashikaga family in Oshu, who conspires with his younger sister Yashio to take over the Ashikaga family. 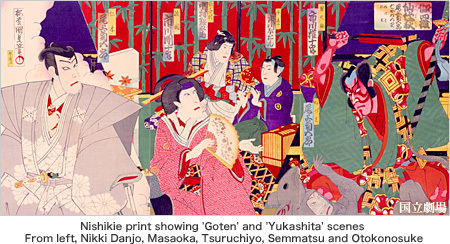 The main scenes performed today are: the one commonly called 'Goten,' in which the wet nurse Masaoka protects her young lord Tsuruchiyo from a party of villains by sacrificing her own son; commonly called 'Yukashita' in which Arajishi Otokonosuke who was on guard under the floor of the goten (palace) is overcome by Nikki Danjo's rat magic, then Nikki Danjo calmly escapes; and commonly called 'Taiketsu' and 'Ninjo' in which Nikki Danjo loses his legal case due to the judgment by Hosokawa Katsumoto, and resists but is executed. Masaoka is the leading role in the 'Goten' scene, and is considered one of the important goten jochu (high-ranking lady-in-waiting in a palace) roles called Katahazushi. Nikki Danjo's role is famous as that of a major villain type called Kunikuzushi (person attempting to take over the country) and shows how fascinating a villain can be.
. Jitsuroku Sendai Hagi 実録先代萩 "The Real Succession". 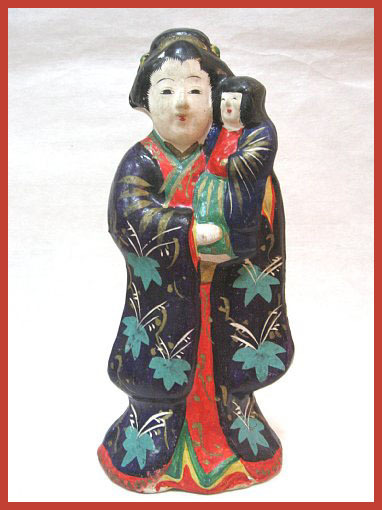 a noble family dispute within the Date samurai clan, which occurred in 1671.
. Asahi tsuchi ningyoo 旭土人形 Asahi Clay Dolls . 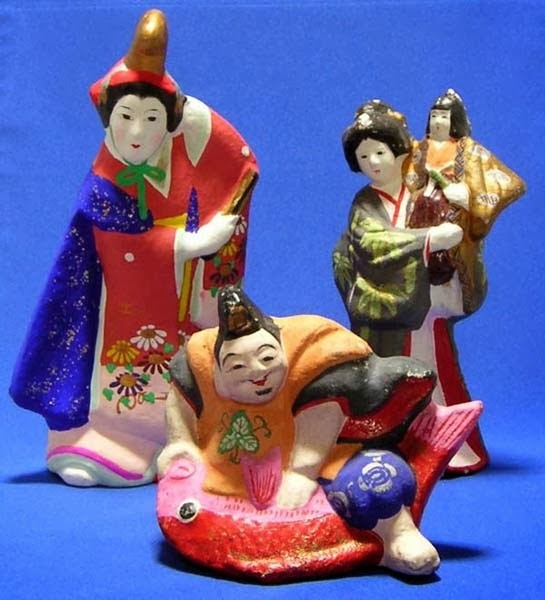 His son 覚太郎 Kakuraro continued the family tradition, but when he died the craft came to an end.
. Udogawara tsuchiningyoo 鵜渡川原土人形 Udogawa Clay Dolls . 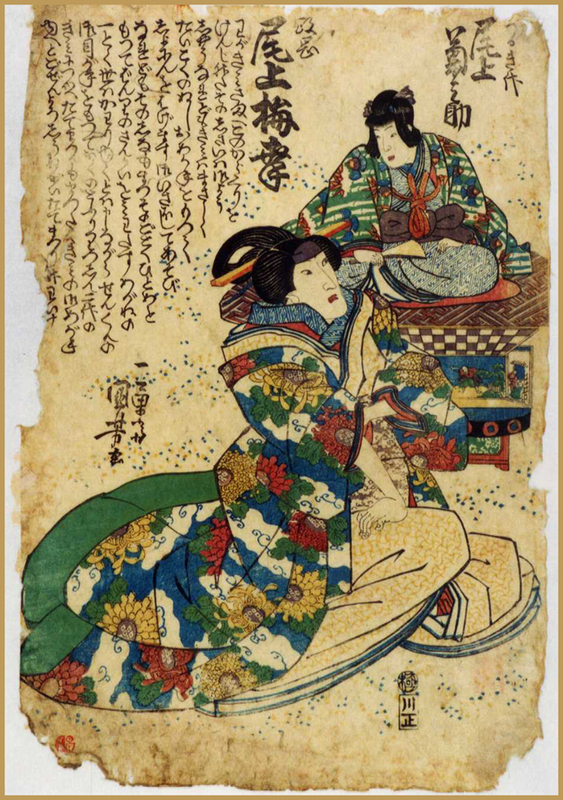 CLICK for more Ukiyo-E paintings !